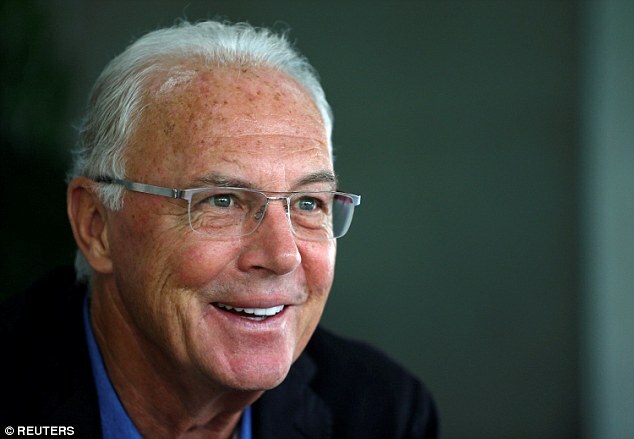 Franz Beckenbauer’s house was raided on Thursday after he became a criminal suspect in a World Cup fraud case allegedly involving money laundering and the misappropriation of millions in cash. 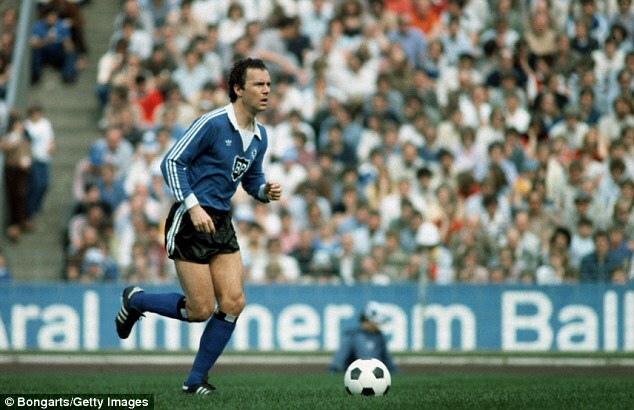 In an astonishing development in the FIFA corruption scandal, it was confirmed the legendary footballer, who captained and managed his country to World Cup glory, is among four German officials being investigated by the Swiss attorney general’s office. 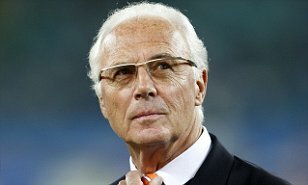 On Thursday, Beckenbauer’s Austrian home was searched on behalf of Swiss federal prosecutors investigating the widespread corruption linked to FIFA, with the attorney general’s office confirming that they had opened criminal proceedings against Beckenbauer and three other members of the 2006 World Cup organising committee. In a statement, the Swiss federal prosecution office said: ‘Searches of premises or searches on a co-operative basis for the collection of evidence were carried out in eight separate locations (in Austria and Germany) at the same time on Thursday. 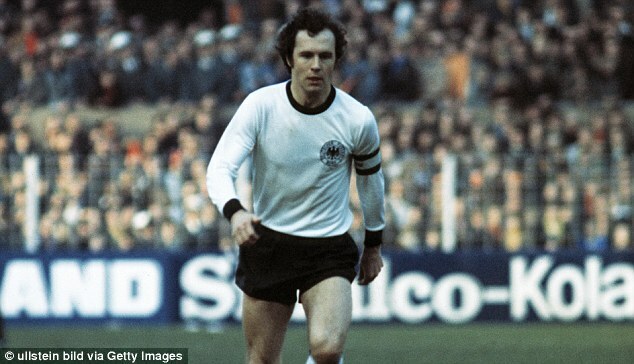 After losing to England in the 1966 World Cup final at Wembley, the man known affectionately as ‘Der Kaiser’ skippered West Germany to World Cup glory in 1974 before cementing his position as a national hero by coaching Lothar Matthaus and his team-mates to success at Italia 90. He led Germany’s bid team for the 2006 tournament, beating a South African bid supported by Nelson Mandela. FIFA’s now-disgraced executive committee voted 12-11 in Germany’s favour in the final round, with Beckenbauer becoming chairman of the organising committee. 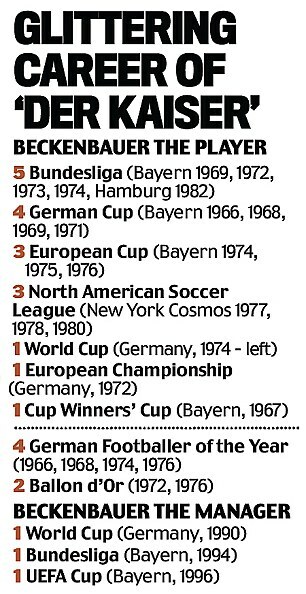 Along with Theo Zwanziger and Wolfgang Niersbach, 70-year-old Beckenbauer is one of three of the suspects who has served on the FIFA executive committee. In July Niersbach was banned for a year by the FIFA ethics committee after he ‘failed to report findings about possible misconduct’. The fourth suspect is Horst Schmidt, vice-president of the 2006 organising committee. 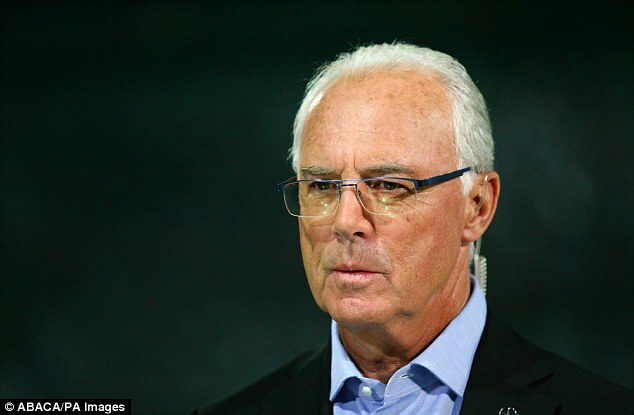 It was confirmed on Thursday that the Swiss criminal case was formally opened last November, with Beckenbauer, Zwanziger and Schmidt also under investigation for suspected bribery by the FIFA ethics committee. ‘It is suspected that the suspects wilfully misled their fellow members of the executive board of the organising committee for the 2006 World Cup,’ said the Swiss prosecution office. 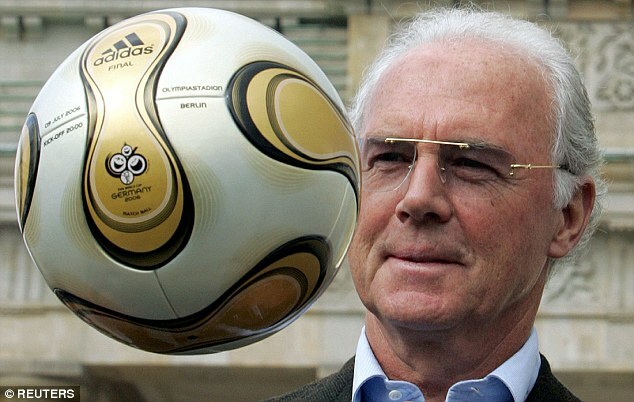 Earlier this year the German football federation published a 361-page report on the payments that were being investigated by German and Swiss authorities, with Beckenbauer emerging as a central figure and heavily linked to then-FIFA president Sepp Blatter. The report said that the payment by the German federation to FIFA in April 2005 was ‘falsely declared’ by the World Cup organising committee for an opening gala when, it is alleged, FIFA transferred the money to a Swiss account set up by the late adidas chief Robert Louis-Dreyfus. 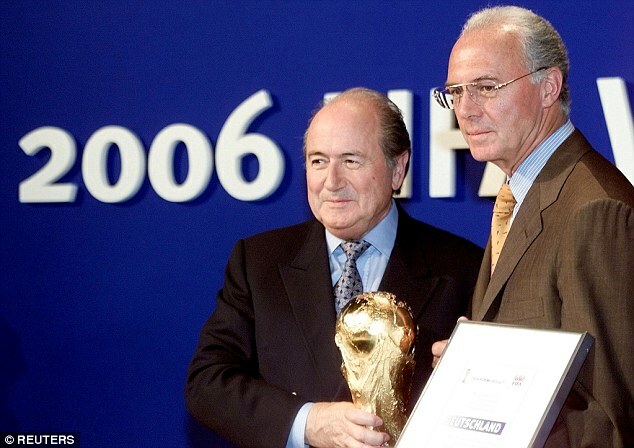 In the cases of Beckenbauer, Zwanziger and Schmidt, suspected irregularities included ‘possible undue payments and contracts to gain an advantage in the 2006 FIFA World Cup host selection and the associated funding’. The inquiry report said Blatter was aware of the payment — something the former FIFA president has denied. But the Swiss federal prosecutors, who are also working on a wider case with the US Department of Justice, are investigating the 2006 World Cup allegations as part of a probe into FIFA’s business. They have already placed Blatter under criminal investigation for two separate acts of suspected financial mismanagement.